Camouflage, Concealment, Denial, Deception, Obscurants (CCDO) is a sub-ordinated working group of the NATO Joint Capability Group Intelligence, Surveillance and Reconnaissance (JCGISR). Up to 25 members from 9 countries are expected to take part in the Prague meeting. For more information about your presentation and networking opportunities within the NATO JCGISR/CCDO meeting please contact us at info@future-forces-forum.org. Joint Intelligence, Surveillance and Reconnaissance are at the core of information sharing in NATO. 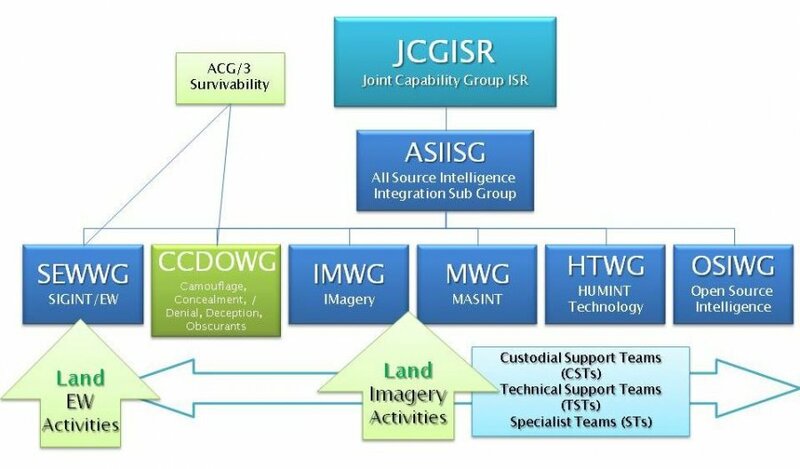 Built upon a structure of intelligence driven working groups, the JCGISR is the only group within the CNAD covering all aspects of intelligence, surveillance and reconnaissance. Its mission is to support achievement of Intelligence, Surveillance and Reconnaissance (ISR) within NATO and between NATO and national forces by developing and providing technical interoperability through standardization and technical capabilities demonstrations that support ISR in operationally-relevant situations. Achieving Information Superiority requires integration and interoperability of collection, exploitation, analysis, correlation, fusion and dissemination of data and information. The JCGISR Programme of Work is capabilities focused and output oriented; implementing jointness through participation of Air Force, Army, Navy and SOF representatives and systems. JCGISR will formulate its work in conjunction with the NATO Air Force Armaments Group (NAFAG)/Joint Capability Implementation Group (JCIG), as directed, to periodically test and demonstrate achievements in operationally relevant environments.